We are a friendly, family-run company with over 35 years experience in the home improvement industry and the ideal choice for doors and double glazing Surrey and Chessington. Our company is passionate about our business and pride ourselves on our personal approach and highest standard of work during every installation. Our attention to detail and commitment to our clients makes us the ideal choice for your home improvement project. Our Chessington windows are energy rated under the British Fenestration Rating Council (BFRC) which runs the Window Energy Rating Scheme (WERs). We provide A-energy rated windows and double glazing Surrey as standard and at no additional cost. Our company is fully set up under the CE Marking regulations – information is available at our Chessington showroom. Our team meets the Minimum Technical Competency (MTC) as required by CERTASS and the Department for Communities and Local Governments. We only use the highest quality products for our installations, ensuring nothing short of the best. Cosyhomes is part of a selected few Authorised Partner companies for Rehau products, as well as Approved Installer companies for Door Stop, Beaufort and Smart. Here at Cosyhomes Windows, we treat each and every customer as an individual – just as you would expect. We listen carefully and make recommendations based on our companies experience. No two projects are alike and we treat every one with meticulous planning and attention to detail. Our company passion is to provide excellent customer service, which starts from the moment you call us for a quote. Our company has over 35 years of knowledge and experience in the home improvement industry, making us your number one choice. Well established across Surrey and Chessington, we’re awarded Authorised Partner and Approved installer in recognition of the expertise, professionalism and high standards we have consistently maintained over many years. Not only do we offer the highest quality products that are fabricated in the UK at most competitive prices, our guarantees on all our products and workmanship provide peace of mind. Your installation will be registered with Certass satisfying that your installation meets appropriate Building Regulations. You will also receive CE certification and confirmation of your A-energy rated installation. 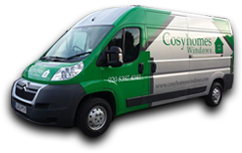 Cosyhomes Windows are based in Chessington, Surrey. If you are looking for a window company in Surrey, then you have come to the right place.